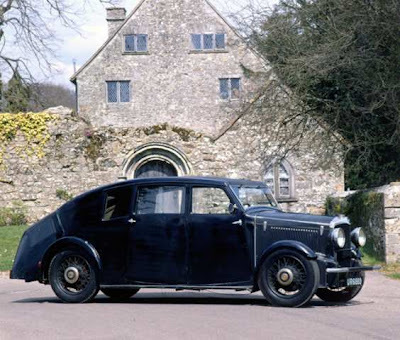 Originally built as a full streamliner by Streamliner Cars Ltd, owned by Sir Dennistoun Burney the designer of the airship R100, Crossley adopted the car design and gave it a little make over in the process. 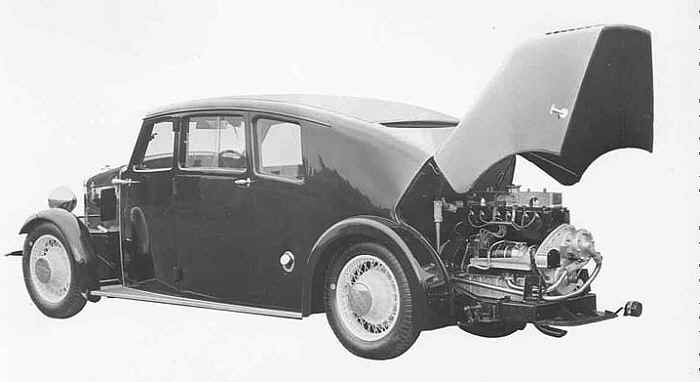 Namely a more conventional nose housing the radiator etc and put its Silver 6 cylinder 2ltr engine out the back, producing 60bhp and would power this car up to 80mph. 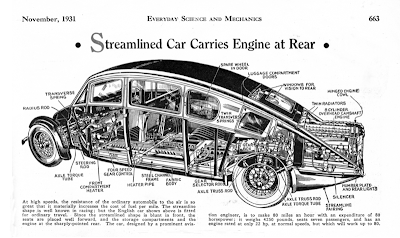 Underneath was encased in steel sheeting to aid aerodynamics. Interestingly the spare wheel was housed inside one of the rear doors with the other again having either another spare or a cocktail cabinet. It also had 7 seats. 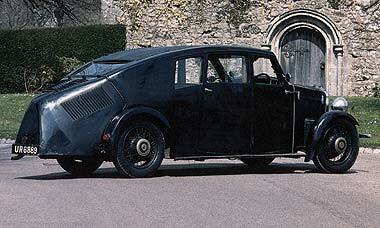 As these were extremely luxurious cars no 2 were the same, which included the length. 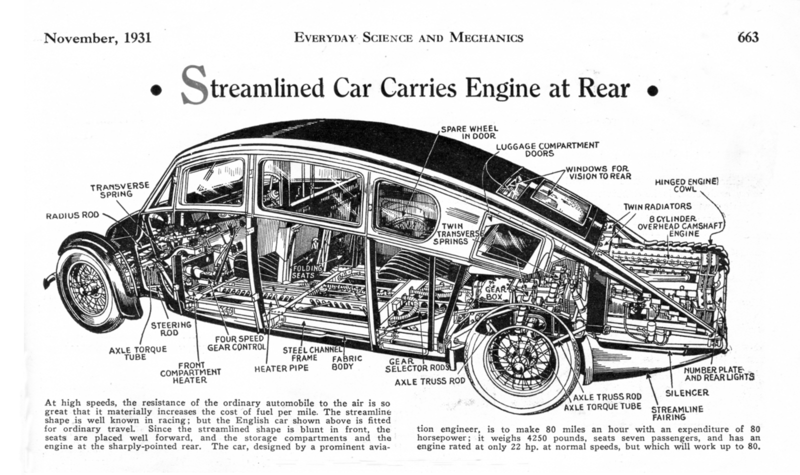 In all about 20 were produced in 1934 which is more than the original full streamliner which approximately 12 were built. This car comes from a time when traditional car building met the new wave of aerodynamics and strange halfbreeds were built.